You gave it your best, but it wasn't good enough. Hit yourself with a mortor strike. Steal the flags from a friend. Complete the special thanks mini game. In four player splitscreen, finish a race in 1st, 2nd, 3rd and 4th respectively. Come First place in any race or picnic battle. Gold Star every track in the Forest world. Gold Star every track in the Arctic world. Gold Star every track in the Ruin world. 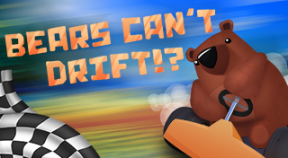 Faster than the average bear! Get a top time on any track. Rank first on every time trial event.